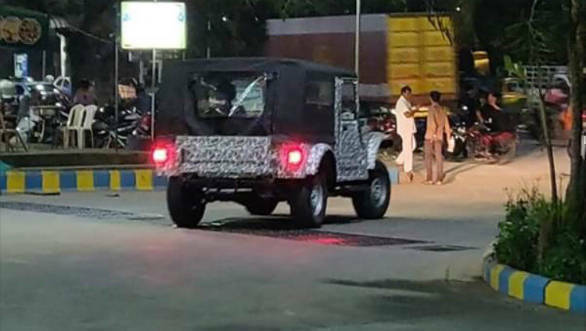 More spy images have appeared of the next generation Mahindra Thar 4X4. The front fascia carries forward the Jeep CJ derived look from the present car, complete with the seven-slat grille. But the wider track and protruding wheel arches are more purposeful. There also seems to be a more advanced suspension setup. Also not the really small front bumper, but we expect a larger, safer replacement when the production version debuts. Like the earlier pictures, these images also show that the new Thar will be significantly larger than the current car. It seems much wider too. The off-roader could sit on a redeveloped version of the ladder frame chassis from the Scorpio or even a RWD version of the more advanced modular structure from the Marazzo. The new off-roader will also be powered by a new motor, given that the current mill is unlikely to pass upcoming emission norms. This could be a version of the XUV 500's 2.2 litre CRDe motor, but will most likely be detuned here. Four-wheel drive and a low range gearbox will also be available. 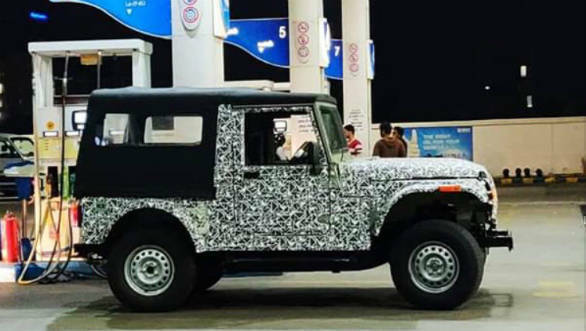 The upcoming Thar will carry forward the retro Jeep CJ inspired styling of the current car but with many of the rough edges smoothed out. The interior will most likely be updated to provide more creature comforts and be less utilitarian than the current car. 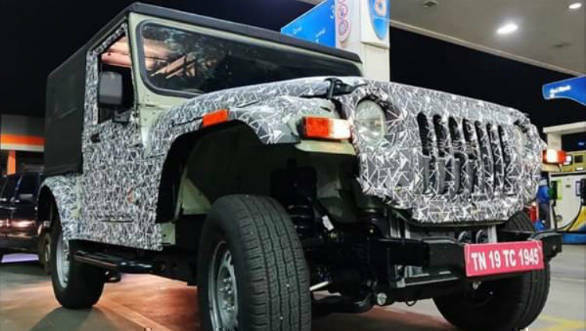 The new generation Mahindra Thar could make its debut at the 2020 Auto Expo just in time before the new regulations come into force by April 2020. The Thar has somewhat of a cult following in the country and no real competition other than the Force Gurkha. The Thar is much more accessible however and is ideal for both serious off-roading given its capabilities and as a more sedate lifestyle vehicle. The new one will build on these traits but in a less compromising package. 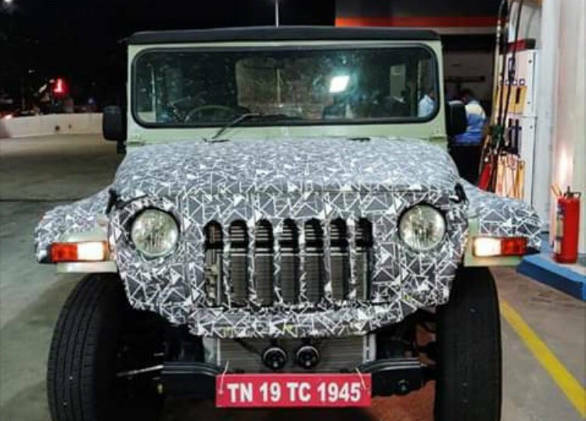 The current Thar has been on sale since 2010 and sits on a rugged ladder frame underpinning which is unlikely to make it past the new crash test norms coming up soon in India. The current gen Thar also doesn't come with a lot of safety equipment that will become prerequisites soon.